Outside of Isfahan, in the west-central portion of Iran, are a great number of villages populated by the Baktiyari people – a primarily nomadic culture whose story spans for many centuries in the area. The name is properly translated as “companion of choice,” denoting the numerous obstacles this tribe of villagers has endured during their meaningful history, being just as relevant today as it has formerly. A vast number of the Baktiyari inhabitants have come to adopt the artisanship of rug weaving, making it one of the principle means of employment and income, alongside the tending of herds supplying the trade. 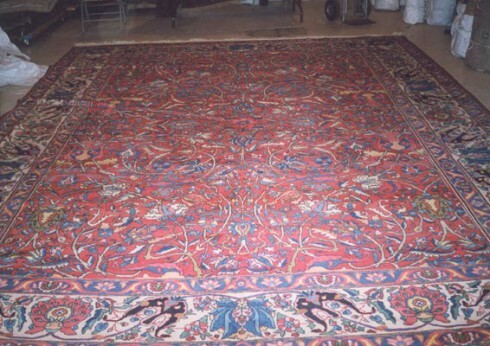 And though much of the Baktiyar rugs are produced in the villages themselves, it is in Isfahan where they have been sold and exported around the world since the early 19th century. The city of Isfahan, once considered among the largest in the world, currently has a population of roughly 1.5-million residents, and still relies heavily on the sale of locally-produced rugs and handicrafts by weavers in the region. It has long been a center for the sale of Persian rugs, yet has seen periods in its history where the craft had become stagnant. Today, however, the trade has flourished mostly due to the effort of surrounding villagers who have continued to supply the city’s dynamic marketplaces with their superbly crafted handiwork. 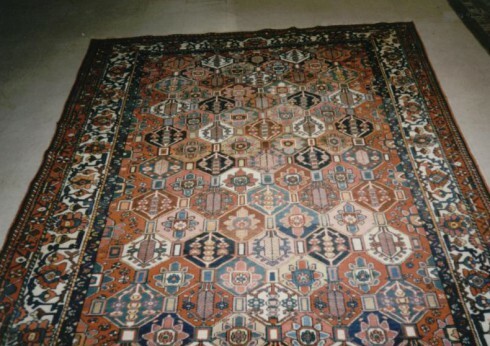 Like other Persian rugs, the Baktiyar rug has distinguished itself from others being produced in the weaving trade by exhibiting particular styles known chiefly to originate from these distinct villagers. This has helped to create a rug that is often easily identifiable and valued for both its complexity and boldly-selected color schemes. Common among Baktiyar rugs is the use of geometric and semi-geometric designs, often displayed in panels housed within the rug’s borders. These compartments: square, rectangular, diamond and hexagon in shape, are then filled with intricate floral or medallion motifs that further strengthen the rug’s already elaborate weaves. 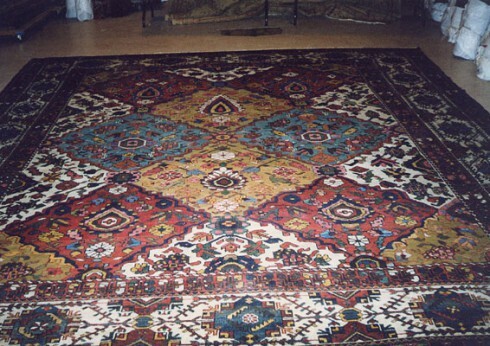 The expertise in the Baktiyar rug is evident upon completion, each panel regularly featuring a unique design in each section, while maintaining a consistent, bright palette throughout the piece. 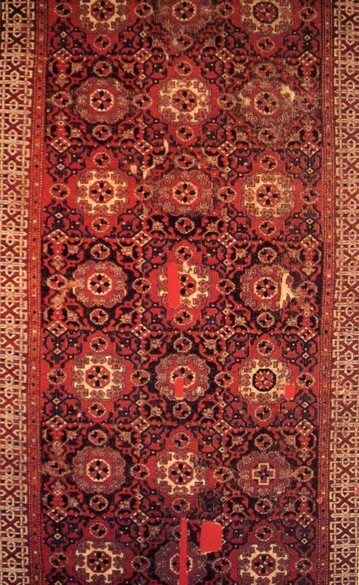 Brilliant, yet complimentary, the colors utilized in the Baktiyar rug are as bold as the designs themselves. Familiar to the Baktiyar rug are the use of deep reds, dazzling blues, varying shades of brown, greens, and tawny yellows, coming together to build a complex array of threadwork in the symmetrically-knotted piece. Baktiyar carpets are considered one of the more robust among Persian rugs, with the Bibibaff distinction being the foremost iteration in the class, known for its extraordinarily high knot density and weaving excellence. However, virtually all of the rugs being produced by the Baktiyari villagers have a supreme quality that is all but unmatched in the industry.